Now, more than ever, people have been striving for excellence and regularly go on hunts for the extraordinary, rather than the traditional or the conventional. Women around the world have been proudly wearing unique wooden rings as fashion statements, elaborate engagement rings and even as beautifully designed wedding bands. Here at Wooden Rings & Co, we pride ourselves as one of the leading companies out there who makes these custom wooden rings for women to your specifications. You can choose one of our wooden ring designs online or you can decide what kinds of wood you want us to use and what kind of inlays. Working closely with our craft masters and artists, you can dream big and help us to create something astonishing for you to brag with and boast about. There are thousands of happy customers around the world wearing our gorgeous wooden rings for women and not one of our clients has been unhappy with their custom designs. This is because we make sure we know exactly what you want and that you know what we are capable of, so that you can take full advantage of our skills in order to make you a ring that speaks of your character and suits your personality perfectly. 1.You can visit our website and find a ring design that you like, then you can order it online. We hand craft it between 14 to 21 working days and we will have it delivered to you within 5 working days via courier or 14 working days via the South African Post Office. 2.For custom designs, you can click on our Special Ring Request option and enter your details there to let us know exactly what you have in mind. 3.We need your contact details and you can upload an image for us of an example you have in mind. 4.Ask us questions or leave comments on your specifications and we’ll get back to you as soon as possible. 5.We can suggest a few options of wood, if you don’t already have one in mind, and provide you with examples so that you can choose one or more. 6.If you want a combination of two or more kinds of wood, we give you the choices available according to the colours or kinds that you requested. 7.We need your exact ring size to ensure a perfect fit. Click on the “Find My Ring Size” button on our website and follow the easy steps to finding your ring size before ordering. 8.After your specifications are obtained, we’ll send you a quote and await payment; we need payment before shipping occurs. 9.Our services are global so we can send you your ring wherever you are. 10.Await your parcel in the post and delight at the sight of your creation when it arrives. If you’re looking for a unique set of wedding bands to match the essence of your relationship, you can order matching or similar custom made rings for your special occasion. Brides to be across the globe have been boasting with wooden engagement rings, blushing with pride when the love of their lives kneel down and ask them to get married with wooden rings for women that entailed such special thought. If you and your partner love nature and want to celebrate your love with something special, wooden rings for women are most definitely something to consider. Wooden Rings & Co pride ourselves on the authenticity of our rings and that they’re 100% echo-friendly. They are truly unique expressions of your personality and made form only the finest wood under the African sun. We are universally notorious for our superior quality and attention to detail. 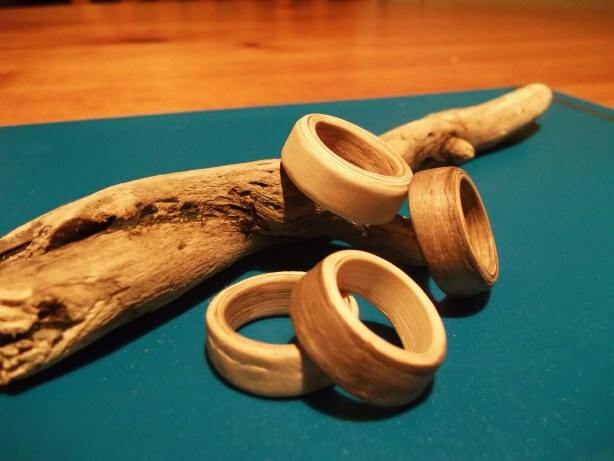 Our customers find the delicate designs and durability of our wooden rings irresistible. It is not at all a brand new practice; people around the world have worn wooden jewelry as cultural symbols as well. The women in the Ndebele tribes of South Africa have worn wooden rings for centuries, and not only around their fingers. The women with a high status within the tribe will wear plenty of metal or wooden rings around her neck, symbolizing wealth or a respected status within the tribe. 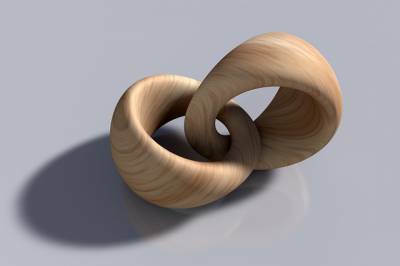 Women in today’s world have been wearing all kinds of jewelry, but for something truly unique, you should look at the options we have of wooden rings for women. You’ll never look back once you’ve owned something so special. Not one wooden ring is the same, not only because we pay such attention to detail or because each ring is specially hand crafted, but because the wood in every ring has its own unique grain. Our African sun helps trees to thrive and their roots dig deep into the African soil to nurture them, letting the trees flourish with our heritage. Owning a wooden ring that has a grain within it which has been beating with the heart of Africa and grew with the living waters that flows through our soil means owning a piece of Africa. Join “the fastest growing ring trend in the world” at the moment and order natural wooden rings for women from us at Wooden Rings Co today. For all the women out there, break away from the stereotypical norm of gold, silver or platinum wedding rings and let your partner know that you would be honoured to start your lives together with wooden rings to symbolize your love. Diamonds may be a girl’s best friend, but the procedures and production processes involved in mining diamonds are not exactly echo-friendly, whereas our wooden rings are as echo-friendly as can be. 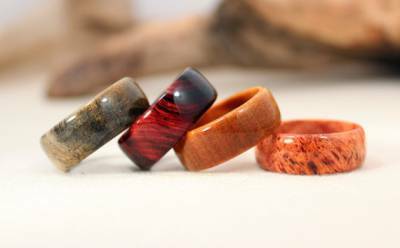 You can own a part of Africa’s beauty, simply contact us or visit Wooden Rings & Co’s website and order one of our beautiful wooden rings.